Mushroom cultivation has gained recent traction in Manipur owing to its low input cost. The young entrepreneurs of the state have developed the innovatively grown and packed mushroom sacks as their source of income. The favourable climatic conditions have provided ample opportunities for the youth to take farming as a business for better sustainability. 37-year-old young mushroom cultivator, Ningombam Rolendro, is a living example who has achieved tremendous success in mushroom farming and at the same time opened job avenues for many in the agricultural sector, a news agency reported. “During particular season especially during pick season, we can earn about 1.5 lakhs per month and during off season we earn hardly around 50-60,”said Rolendro. He started his mushroom business under the name JaminiMushroom Processing Industry. He grows 3,000 packets of mushroom in his farm and sells 20 kg of mushroom daily at the wholesale rate of Rs 130 per kg. On an aggregate basis, 1.5 to 3 tonnes of mushroom is produced under the farm. So far, more than 700 farmers have acquired the cultivation related know how at the farm of Rolendro. 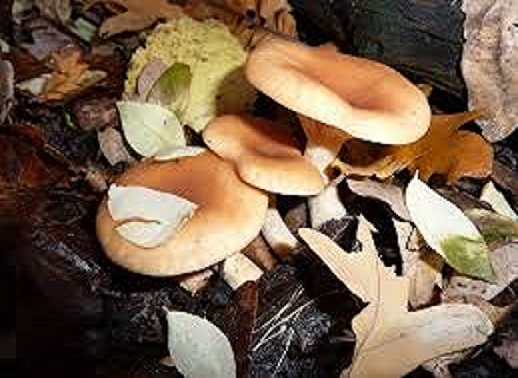 Of the six varieties grown in Manipur, three varieties of mushroom are grown in winter while the rest are cultivated in the summer season. The local farmers in the state are engaged in the cultivation of bottle-mushroom in winter and the local products are selling in the markets of different parts of the region. Jamini Mushroom Processing Industry has so far employed three regular staff which is acting as a platform for them to earn their livelihood for better sustainability. The best favourable season to grow this mushroom in Manipur is from September to February. While another staff urged the state government to provide more training programs to enhance the reach out to a bigger mass. The grown packed mushroom farming of the state is gradually emerging as a thriving business for many educated unemployed youth of the state.